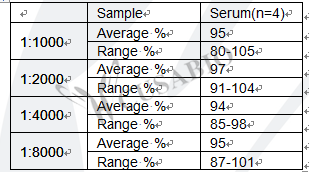 To assess the linearity of the assay, samples were spiked with high concentrations of rabbit albumin in various matrices and diluted with the Sample Diluent to produce samples with values within the dynamic range of the assay. 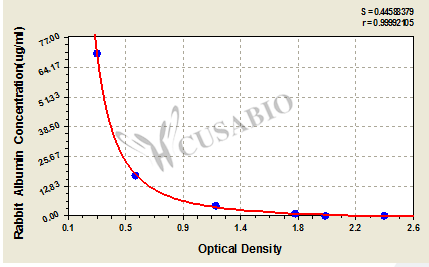 This assay has high sensitivity and excellent specificity for detection of Oryctolagus cuniculus (Rabbit) ALB. No significant cross-reactivity or interference between Oryctolagus cuniculus (Rabbit) ALB and analogues was observed.